Ever wonder how mozzarella cheese is made? Learn the fundamentals of artisanal mozzarella cheese making in this demonstration style work shop. We offer private cheese making workshops for you and your friends or group. Allow us to tailor a tour of our Robot Dairy barn that turns into a social gathering complete with an on-farm cheese making demonstration. 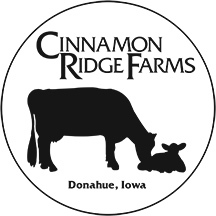 Along with sampling the mozzarella cheese we make in the class, we will also include samples of our award winning cheddar cheese and gouda made right here at Cinnamon Ridge Farms. Gather your group together today and come spend a couple of hours here at the farm! Our workshops are limited with a 4 person minimum and 10 person maximum. Schedule your tour and demonstration today. The cheese making demonstration and cheese tasting lasts about an hour. The cost of the cheese demonstration is $10 per person.